After creating or duplicating a campaign, it is likely that you will need to edit the name, description, target country or start/end dates of your campaign. 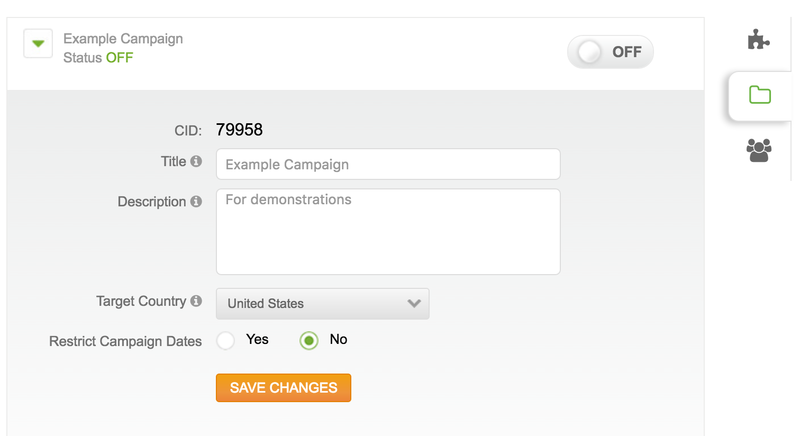 1 - Navigate to the campaign builder section of the campaign you wish to edit. This can be accessed by clicking on the name of the campaign you want to edit from the campaign section of MOBIT. 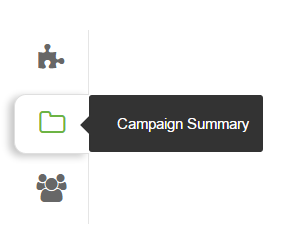 2 - Click on the Folder Icon Campaign Summary tab on the right of your screen below the Jigsaw Puzzle Icon. 3 - After making the necessary changes to your campaign, click save.